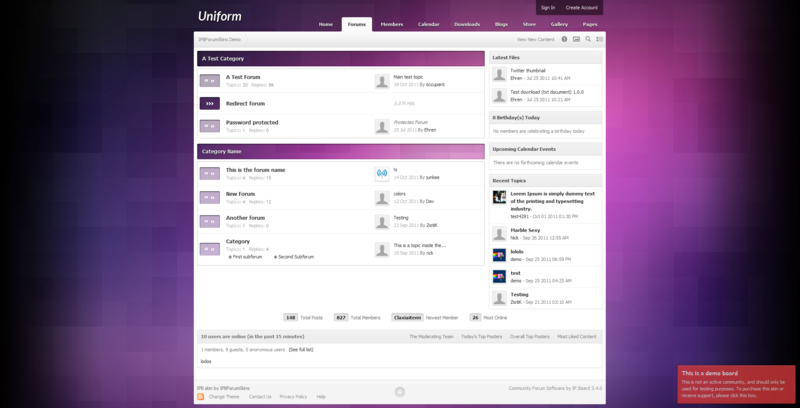 Uniform is a chameleon type skin which applies a single background image throughout the entire forum, including maintitle bars and icons. The skin is packed with features including customizable backgrounds, a quick navigation box, a quick login box and more. The skin is compatible with all major, modern browsers including Internet Explorer 7/8/9, Firefox, Safari, Chrome and Opera. After purchasing this skin, you will be able to download it immediately from your Client Area on the forums.